Tough business lessons mean Auckland property developer, Kenyon Clarke is in for the long haul. Kenyon Clarke is a rare breed among property developers; he personally invests in his own projects. 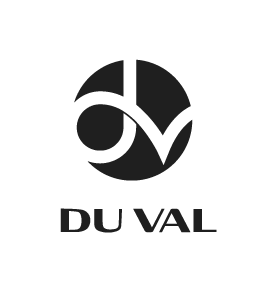 Founder and CEO of suburban apartment developers The Du Val Group , Clarke is retaining ownership of around 45 apartments in two high-rise complexes he is constructing in south Auckland. Clarke's multi-million dollar personal investment - he will offer many apartments for rent - is a departure from normal practice among developers, most of whom move on to their next project once sales are finalised. He says his investment is based on helping secure the financial future of his four children – and because it makes good business sense. "How can I ethically say we see a great future for this district if we're not here too?" he says. "Our investment shows people buying into these complexes we are confident of the future, that we are bound economically into this area too." Clarke will be outlining his philosophy at a function at the Ellerslie Events Centre on March 6 on a theme of Accepting Change and Securing Your Future Through Property. Organised by Du Val Wealth, Tony Alexander Economic Commentator and the founder of My Food Bag, Cecilia Robinson, will also speak. The Du Val Group is about a year from completing the 17-level tower Lakewood Plaza in Manukau while construction of a second development - The Avenue Apartments, a 119-room complex also in south Auckland - is expected to be finished in about 15 months. The two complexes are estimated to be worth a combined $180m. Clarke will keep ownership of about 30 apartments at The Avenue and a further 15 at Lakewood Plaza. A third project, the Mountain Vista Estate, a $170m, 200-apartment complex, is to be launched in August, making a total of $400m of construction in the pipeline and a further $230m of completed projects. Although today Clarke controls a multi-million dollar business, less than 10 years ago he was so broke he could barely afford 50c lunches. In the wake of the 2008 global financial crisis (GFC) he was declared bankrupt after 12 of 27 companies he owned went into receivership, forcing Clarke to survive on the dole for the following two to three years. Although Clarke lays the blame at the feet of his bank lender at the time, he says the experience was "one hell of an education. "It was the most expensive MBA you could get," he says. "I estimate it cost me about $80m all up. I ended up on the benefit, could barely afford 50c lunches and had to watch my wife wash her hair with soap. "I remember one day we were moving some junk around in the house we were renting and I found $500 in one of my old suits. Well, that had us dancing in the living room - and we went out and blew it on a bottle of wine and a meal out. "It materially affected the way I see the world," he says. "I felt under extreme pressure, especially to provide for my family, and I had no pride in being on the benefit. "But I realised that while you can lose all the money in the world, the one thing that can't be taken from you is knowledge. It is hard to keep a good man down and while I might not be good," he joked, "I am determined. "It also taught me to work with good quality lenders who are committed to New Zealand," he says. The experience helped establish a business philosophy he adheres to today – one that has a focus on helping alleviate the housing shortage on one hand and ensuring developments safeguard New Zealand's farmland and wilderness areas on the other. Clarke says most apartments in his developments cost between $450,000-$600,000 to buy and are aimed at providing quality, affordable housing for first home buyers – and options for 'Mum and Dad' investors looking to secure their financial futures. "In contrast to overseas speculators, Mum and Dad investors tend to hold on to properties long term and place them in the rental market," he says. "This not only helps with the housing shortage, it also plays a vital role in the economy." Clarke says he cannot stand to see unchecked urban sprawl: "I realised after working in London in 2012 that, here in New Zealand we do this poorly so we decided it is better to create intensified developments on under-utilised land. "This is about preserving and regenerating productive land and the bush; if we destroy our farmland and wilderness areas, there will be nothing left for future generations." He says the company is focusing on south Auckland because the population is expected to rocket from 500,000 today to around 1.5m by 2035. Clarke has also established the Du Val Foundation, a charity aimed at helping fight poverty among children, particularly in the south Auckland area. Funded through a percentage of company profit, the foundation last year helped provide Christmas gifts and food to 52 children from 23 families put forward by local schools.